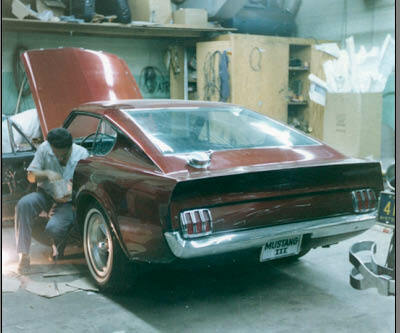 From August to December 1963 Ford built 15 pre-production pilot Mustang chassis to establish assembly procedures, to determine engineering revisions necessary for future production at Ford’s Dearborn Assembly Plant and to create concept show cars. These 15 Mustang pilot units with S-code VINs were built at the Allen Park Pilot Plant prior to the first assembly of production Mustangs which began in early 1964. 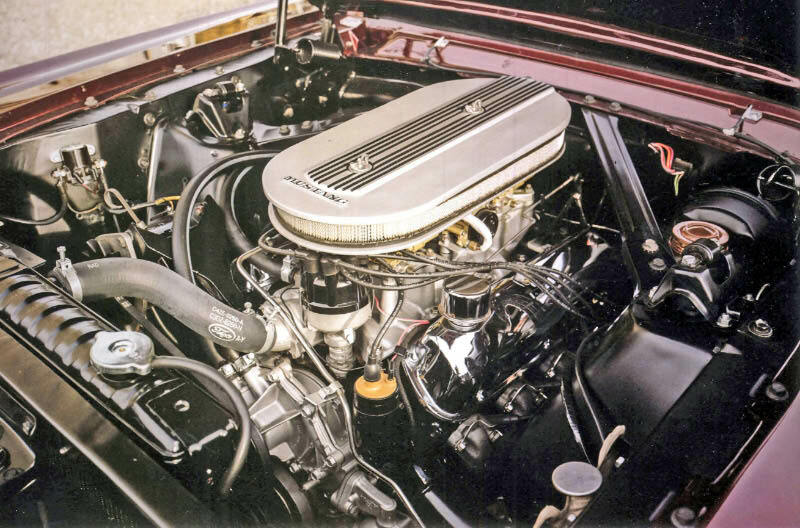 After their use, all Mustangs with S-code VINs were scheduled to be destroyed since they were not built for the road. 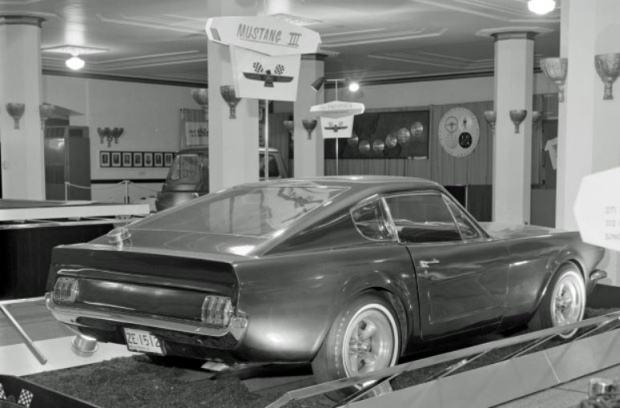 This automobile was the ninth pre-production Mustang ever built. The first eight S-code Mustangs have been destroyed or their existence are unknown. 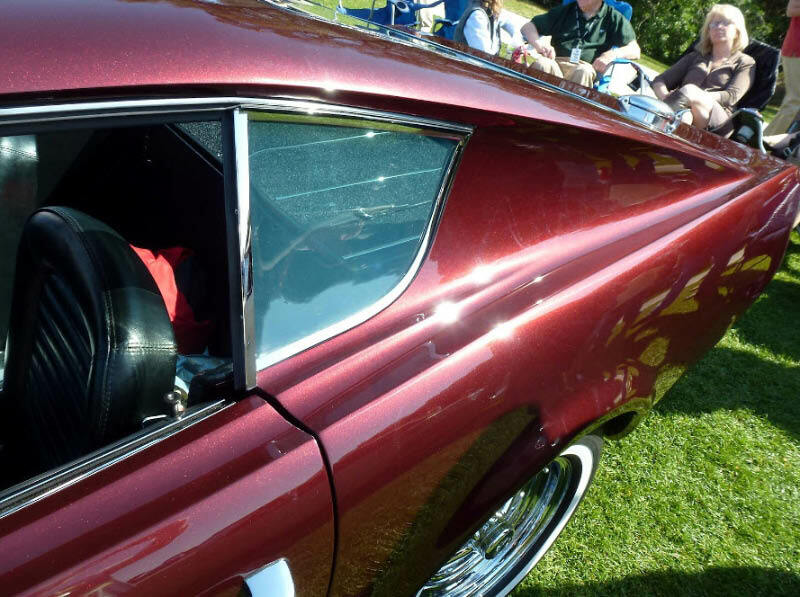 -In June 1964, this chassis with a convertible body was provided by Ford to its prototype/concept car show supplier Dearborn Steel Tubing, builders of the 1963 Mustang II Prototype and other Ford concept show cars. 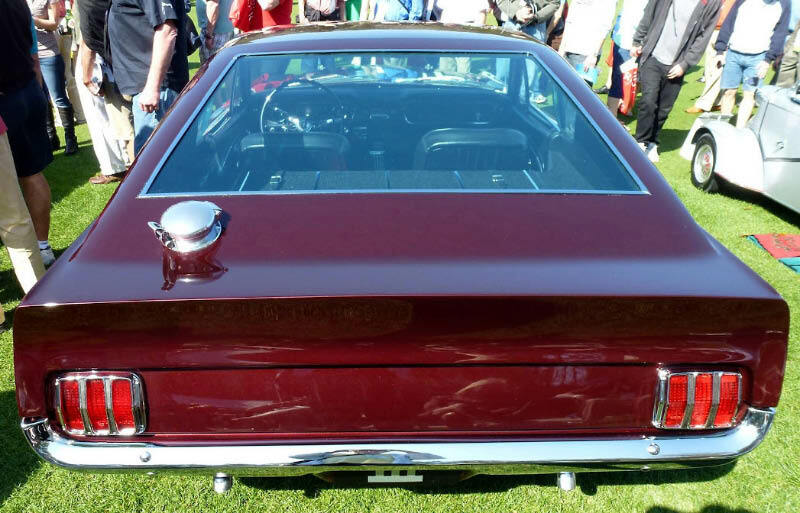 -At the request of Ford Motor Marketing Division, Dearborn Steel Tubing built this two-passenger "Shortie experimental Mustang" for showing in the Ford Custom Car Caravan. As part of the agreement, Dearborn Steel Tubing obtained ownership of the car and lease it back to Ford for special appearances. Apparently following these car shows, as part of the agreement, Dearborn agreed to destroy the car. 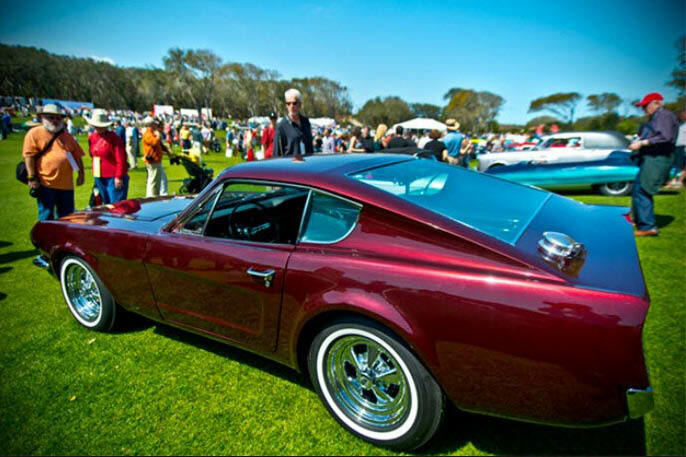 -Prominent designer and stylist Vincent Gardner shortened the wheelbase by 16 inches and fabricated a unique fiberglass fastback body. It was painted a unique candy apple red by Paul Shedlik. 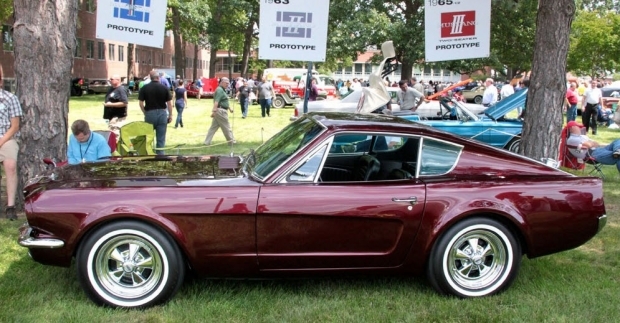 -It was displayed as Mustang III at the "Sports Cars in Review" Exhibit held in January 1965 at the Henry Ford Museum.The Mustang III name was derived following the naming of the Mustang I and the Mustang II prototypes. 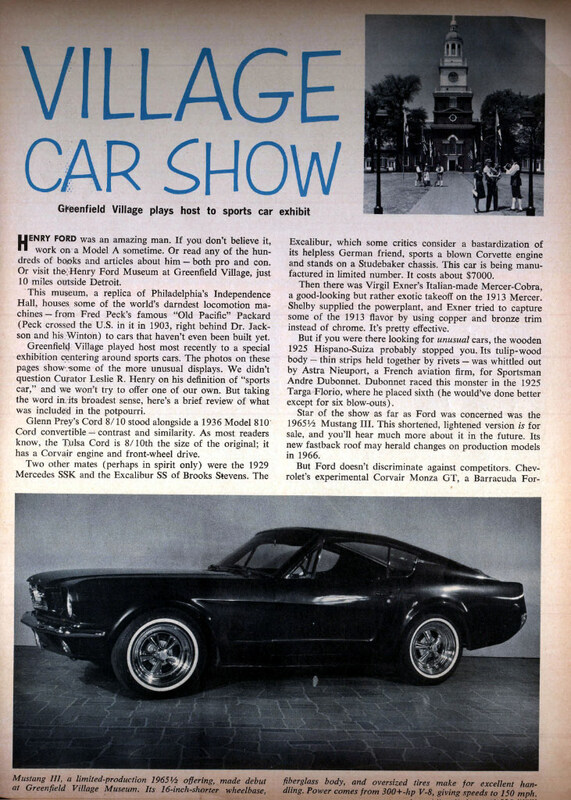 -The automobile was featured in the May 1965 issue of Motor Trend and described as "Mustang III, a limited production 1965 1/2 offering... Its new fastback roof may herald changes on production models for 1966." -The Mustang III traveled throughout the United States as part of the 1965 Ford Custom Car Caravan. 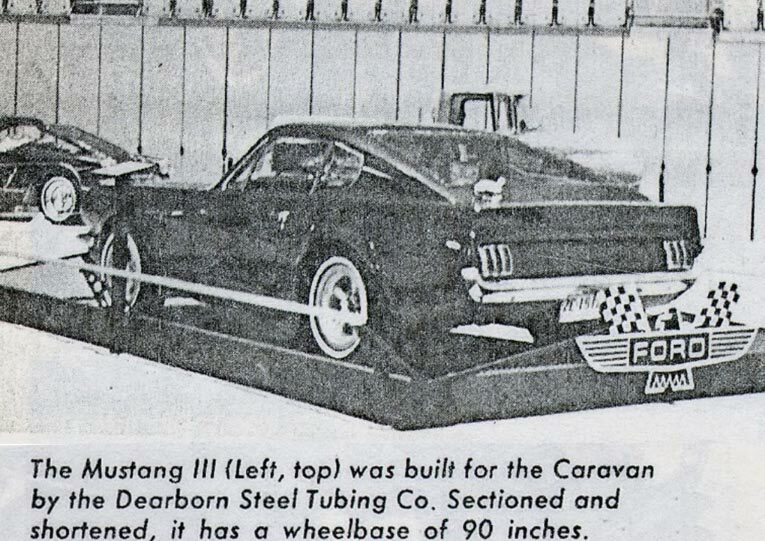 -The Mustang III was stolen on May 2, 1965 from Dearborn Steel Tubing by its designer Vince Gardner, apparently to keep it from being destroyed. -According to police reports, the automobile was hidden by Gardner in a nearby warehouse surrounded by a temporary wall. -Dearborn Steel Tubing reported the car stolen and placed a claim for $16,979 (equivalent to $126,200 today) with its insurer Aetna Casualty & Surety. -Recovered by the Detroit Police Department on December 3, 1965, it became the property of Aetna, which was under no obligation to destroy the automobile. 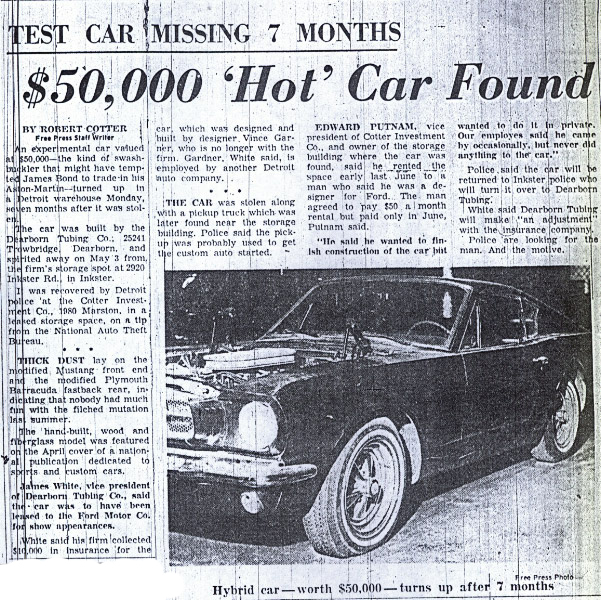 -On December 6, 1965, the Detroit Free Press reported on the recovery of the "test car missing 7 months" in an article "$50,000 'Hot' Car Found." $50,000 in 1965 is the equivlaent of $380,000 today. -On June 2, 1966, the automobile was sold by Aetna to one of its executives, Edward Feaster, of Simsbury, Connecticut. 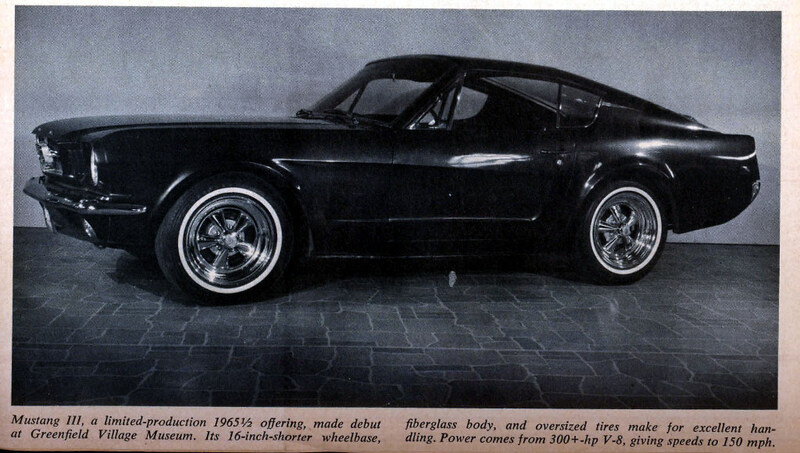 -In the December 1968 issue of Hemmings Motor News, Feaster placed it up for sale listed as a "Prototype Fiberglass Mustang built for Ford Marketing Department in 1964." -The automobile was sold in January 1969 to Ohio executive Bill Snyder, who owned it for over 46 years. 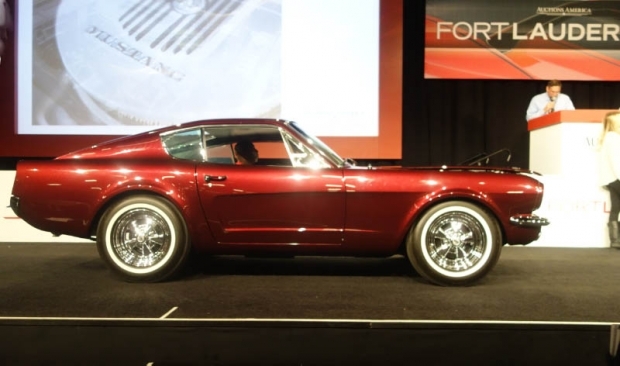 -The Mustang III was restored from 2012 through February 2013 and headlined the 2013 Amelia Island Concours d'Elegance. 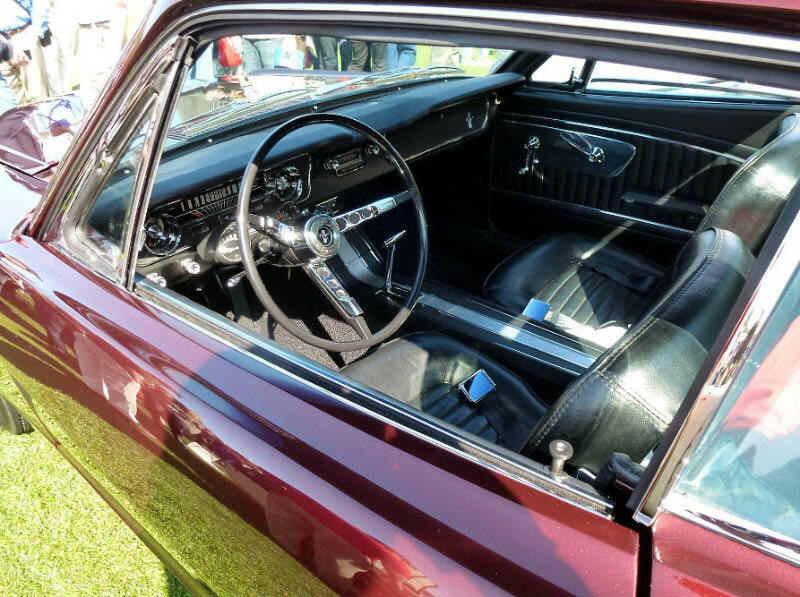 -It was featured with the Mustang I and Mustang II prototypes at the 2014 Ford Product Development Center Car Show in August 2014 and displayed as the Mustang III Prototype. 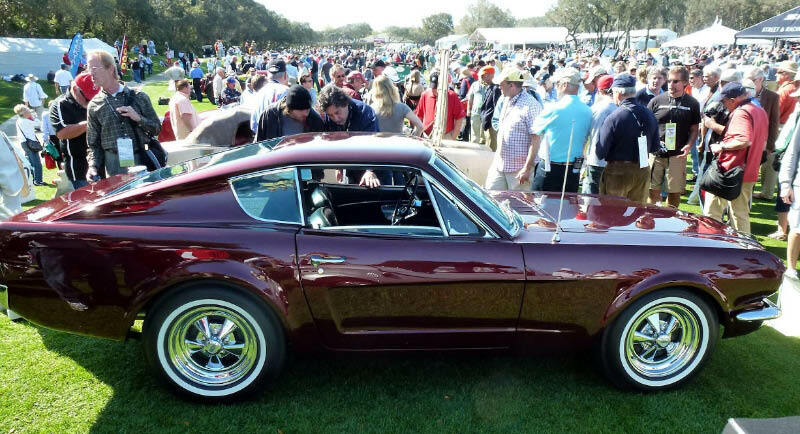 -Howard Kroplick of East Hills, New York purchased the Mustang III at an Auctions America in Fort Lauderdale on March 28, 2015. Andy Hotton whose shop built it did lots of specialty work for Ford. He built the 1957 Battle-birds and raced them in 1957. I saw them when I was in High School. Andy lived next door to Les Henry, Ford Museum boss. Over the last fifty-odd years, a number of 260 cid V8 Mustang engines have been bored out to 289 cid by Sunbeam Tiger owners. These engines fail promptly from cracked cylinder walls. The 289 and 302 engines had smaller water jackets, making room for larger cylinder diameters.